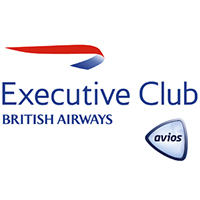 So how did I get these five British Airways Business Class tickets that were 80,000 Avios points each? (Avios is the unit of point currency used by British Airways) I got most of them via my Chase British Airways Visa Signature Card. Back in 2011, I applied for the card and once approved received 50,000 Avios points just for getting the card. Unfortunately, this initial 50,000 Avios bonus is not available today, but who knows—-it may be again, so watch for it. I then made $1,000 in purchases over the next 3 months and received another 50,000 Avios points. So I now found myself with an easy 100,000 Avios Points. I should note however, that this card has a $95 annual fee, but to me, for all of these points, it was worth it! What next? Well, I made my husband an additional cardmember of my British Airways Visa Signature Card in anticipation of our next move…. You see British Airways offers a Travel Together Ticket. That is, every year that you make purchases of at least $30,000 on your British Airways Visa Signature Card, you earn a Travel Together Ticket that is good for two years. The Travel Together Ticket allows you to add a guest on a reward flight without using any extra Avios Points. You are essentially doubling the value of your Avios Points. So that is what we did. In both 2011 and 2012, I directed my husband to use his additional British Airways Visa Signature Card for the advertising expenses of his business. Once he reached the $30,000 annual amount, he stopped using the card. So now what I had was the initial 100,000 Avios Points. and 75,000 Avios Points from the 2 years of purchases (you earn 1.25 Avios per dollar spent with your card-60,000 X 1.25). In addition, I had two Travel Together Tickets from meeting the $30,000 spend requirement in both 2011 and 2012. Like I indicated above, those British Airways Business Class Tickets were 80,000 Avios points each. So for four tickets, I only needed 160,000 Avios points (because with each 80,000 Avios Point reward, I was able to add another guest to my reward flight). For my fifth ticket, I only had 15,000 Avios Points to apply. Hmmmm what to do??? So after all of that, I had enough Avios Points for my five British Airways Business Class tickets. If we would have paid for these 5 tickets, the price would have been about 18K (crazy! in my opinion). We spent about $6,000 due to the hefty fuel charges and taxes. (You cannot avoid these charges when booking with miles). We saved about $12,000!!!!!! So, we took our trip to London in December 2012 and had a really fun and educational family vacation. Did I mention we stayed for free as well in a GIGANTIC suite at the Park Lane Hotel…a Starwood Resort…and saved $2,800. Oh how I love Starwood Resorts!!!! !